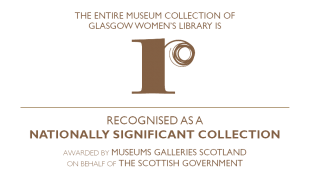 is the only Accredited Museum in the UK dedicated to women’s lives, histories and achievements, with a lending library, archive collections and innovative programmes of public events & learning opportunities. To celebrate the 100th anniversary of the Representation of the People Act, GWL has developed an animated web resource highlighting the forgotten heroines who have campaigned for women across the world to have the right to vote. Browse events on our website, download a pdf programme or have a listen to our audio version to find out all about events and projects happening this season. The objects in the Decoding Inequality exhibition have been chosen from our museum and archive collections to reflect the nature of inequality and how it is experienced. Follow our new campaign called #WomanOfTheWeek. Each week we will focus on a new, important, historical female writer and post about her and her work. Knowing that you can change someone’s life for the better is a powerful thing. As a Friend, and from as little as £2 per month, you can ensure that our work continues now and for future generations, and develops in new directions. Joining the library is easy and completely free! As a Library member, you can borrow books from our lending library, get monthly updates about what's on, and book onto events easily through the website. Come to one of our many events! You can find out what's coming up in our events calendar, or explore our projects to find out more about all our work. Our major renovation project has now been completed, with a beautiful events venue, a custom-built archive storage space, and a gorgeous lift providing access to our top floor. 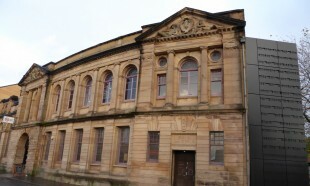 Sponsor a Library section, shelf or book and dedicate it to a woman of your choice, building a living tribute to remarkable women and raising funds towards the refurbishment costs still needed to complete the transformation of GWL’s permanent new home in Bridgeton. Mhairi says her goodbyes to the library this week as she reflects on her experience as a whole here. Join our Adult Literacy Team! 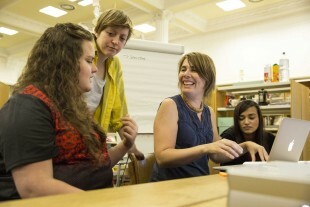 Glasgow Women’s Library is seeking to recruit an Adult Literacy and Numeracy Tutor and Volunteer Support Worker. I would like to be added to the GWL mailing list.